Monogrammed, neoprene, leather, canvas—the market is saturated with toiletry bags these days. However, when it comes to finding options that are TSA approved, things get a bit trickier. Anyone else feel like the rules change each time you fly? To keep things running as smoothly as possible, we've rounded up the TSA-approved toiletry bags you need for your next trip. (Keep in mind, of course, that if you're taking your beauty products on your carry-on, your products must fit inside a resealable bag, and if you didn't find the travel-size version of your favorite products, you can store those in your checked bag.) Keep reading for the best TSA-approved toiletry bags on the market. 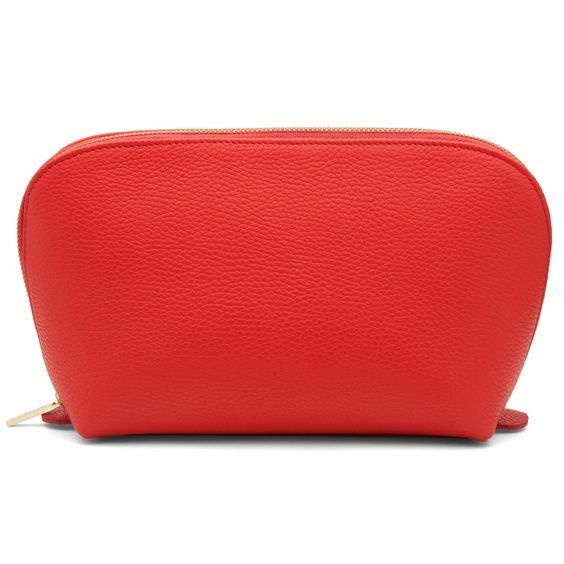 Stow away your toiletries in a bold red bag. The toiletry pouch is removable for extra convenience while traveling. Even toiletry bags now come in the It print of the season. A modern bag that's durable and practical. This one is reserved for your tropical travels. A clear toiletry bag doesn't have to be boring—just look at this fun holographic option. With its see-through top and base, you'll pass through airport security in no time. No spills or surprises with this toiletry bag. Don't leave this toiletry bag behind. A leather bag that will wear well over all your travels. This one includes a shoulder strap, because you never know. You can find this simple bag in more fun colors. One for each day of your long-weekend escape. A colorblocking kit that's easy to carry and cute. For the minimalistic traveler in you. It already includes TSA-friendly containers? Yes, please. Meet the toiletry bag for all your travels. Pack up all your essentials here. Goodbye, Ziplock bags; hello, new TSA-approved bag.